Spiral representation of the history of life on EarthEarth's first cellular life probably arose in vats of warm, slimy mud fed by volcanically heated steam and not in primordial oceans, scientists say. The only planet that supports life (as per the present knowledge of humans) is the Earth. The life supporting zone of the Earth is very small compared to the vast Universe. It is from the bottom of the ocean bed to the top of the highest mountain. Less than 0.5% is of the space available for human habituation, as we can’t live under extreme hot or cold conditions. We humans live on just 12% of the total land area and only on 4% of the whole surface area. But still Earth is the only planet that can sustain life in the entire solar system. Scientists discovered 70 planets beyond the solar system, but the expected number is around ten billion trillion. The average distance between the Sun and the Earth is about 92,935,700 miles (150 million Km). Astronomers refer to this distance as one astronomical unit (AU) which is the distance light travels in about eight and a half minutes. The distance of the Earth from the Sun is 150 million kilometers approximately, which made the right distance to sustain life. Suppose if we are too close to the Sun, then almost everything would vaporize. If we are too far, then everything would be in frozen condition. Life on Earth would be impossible if we were 1% farther or 5% closer to the Sun. Magnetic field of Earth The outer core of the earth, between the inner core and the mantle, is made of liquid iron and nickel. Complex currents in this layer give rise to a dynamo effect which is responsible for earth's magnetic field. Our planet’s magnetic field is believed to be generated deep down in the Earth’s core.Nobody has ever taken the mythical journey to the center of the Earth, but by studying the way shock waves from earthquakes travel through the planet, physicists have been able to work out its likely structure. The magnetic field of the Earth is due to its molten interior at the core made of iron. This magnetic field protects us from the radiation of cosmos. The gases that emerge out from the interior will get mixed up with the Earth’s atmosphere, which helps life to sustain. Earth has got the right elements like oxygen, carbon, hydrogen, sodium, iron, nitrogen, cobalt, nickel, etc, which makes life possible and easy. Earth and Moon The Moon's size is adequate, and the Earth-Moon distance is small enough to produce tides of appropriate size, and to provide a good-sized night light. The gravitational force between the Sun and the Earth makes the Earth to spin at the right speed, the tilt in the angle of the Earth also helps in the required development of life. The moon is moving away at a rate of 1.5 inches every year as the Universe is expanding. As the moon starts to move away, then it would effect the stability of the Earth&apos;s rotation around its own axis. This would take place after 2 billion years. Events happened over the time of 4.6 billion years could evolve a tribal man to most advanced beings enriched with technology advancements. 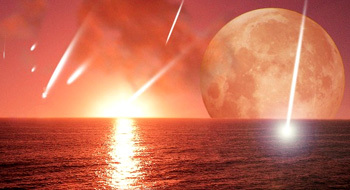 These events also made the evolution of many things like formation of moon, and extinction of many beings like Dinosaurs during a meteor strike. Earth with perfect atmospheric properties The atmosphere of the earth holds the most appropriate gasses in the most appropriate ratio needed for the survival not only of human beings, but also of all the living beings on the earth. Since the earth is the third planet in the solar system, it must receive less amount of heat compared to the Sun, thereby it should be cooler. The green house gases are the ones which helps the earth in keeping it warm. This atmosphere protects from other harmful cosmic rays, charged particles. Ozone layer is the one that protects earth from the UV rays emitted from the Sun. This right kind of atmosphere ensures sufficient oxygen on the Earth to sustain life. Inside the Earth Our knowledge of what's inside the Earth has improved immensely since Newton's time, but his estimate of the density remains essentially unchanged. What is there inside the Earth? Many scientists came up with their own theories till the time when Newton proposed that Earth&apos;s interior is made up of much denser material. The density of the inner Earth is twice as that of the rocks on the surface of the Earth. This density reveals the cause for the formation of different layers inside the Earth. The interior of the Earth is like a layered onion, with three main shells namely Crust, Mantle and Core. Each layer is further divided in to two parts. 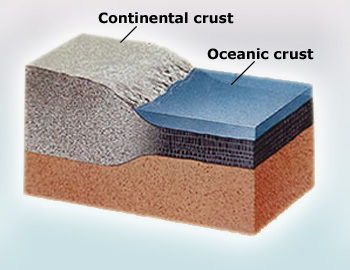 The two parts of crust are: Oceanic crust and Continental crust. The two parts of mantle are: Upper mantle and Lower mantle. Finally the two parts of the core are: Upper core and Lower core. The three main layers are the core, the mantle and the crust. 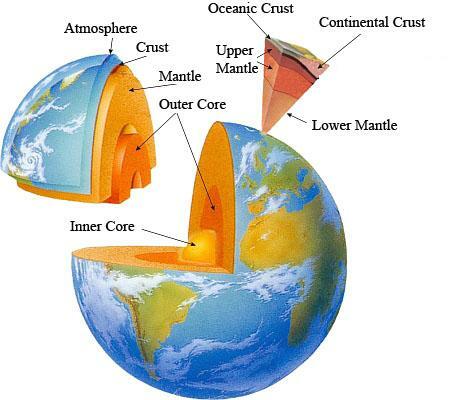 The core is the inner part of the earth, the crust is the outer part and between them is the mantle. The crust is extended up to 30kms in depth inside the inner surface of the Earth. The density of the crust extends from 2.2 to 2.9 g/cm3. The Upper Mantle is extended up to 720km inside the interior of the Earth. Its density ranges from 3.4 to 4.4 g/cm3. The Lower Mantle has a density ranging from 4.4 to 5.6 and it has a thickness of about 2171kms. The types of rocks that are found in Lower Mantle are magnesium rocks and silicon oxides. The Outer Core has a thickness of 2259 km with a density ranging from 9.9 to 12.2 g/cm3. The types of rocks or minerals found in the Outer Core are Iron,oxygen, sulfur and Nickel alloy. The Inner core has a thickness of 1221km and has a density ranging from 12.8 to 13.1 g/cm3. Although the core and mantle are almost of equal thickness, the actual core forms only 15% of the Earth&apos;s volume, whereas the mantle occupies 84%. The crust makes up the remaining 1%. The total thickness of Earth&apos;s inner surface is 6401 km. Tectonic plates are composed of oceanic lithosphere and thicker continental lithosphere, each topped by its own kind of crust. 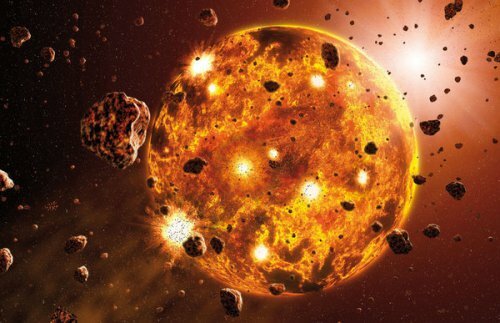 After the formation of the Earth 4.5 billion years ago, the heavier objects like iron moved to the core and the lighter elements like water settled at the crust. The rocks get redistributed inside the crust during natural process of eruption of lava, consolidation of rock particles, erosion, solidification and re&dash;crystallization of porous rock. This layer of Earth is very thin when compared to other layers of the Earth. In general, the Earth&apos;s crust is made of metals and minerals like iron (32%), oxygen (30%), silicon (15%), magnesium (14%), sulfur (3%), nickel (2%) and some traces of aluminum, calcium. The temperature of the Crust is around 870°C where the rocks start to melt. The crust of the Earth is broken in to many pieces called plates. These plates float on the mantle (next layer) smoothly, but sometimes they stick together to build up pressure and the rocks bend ultimately leading to an Earth quake. 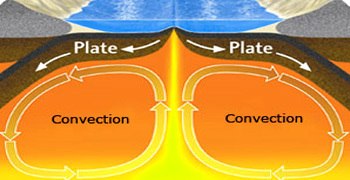 Tectonics is the theory that deals with the movement of these plates. The continental crust is thicker and older than oceanic crust. 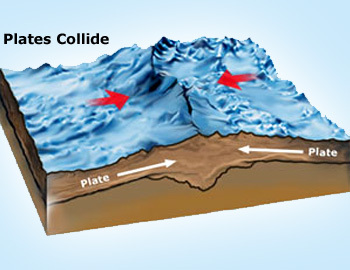 Constant movements of the oceanic and continental crusts can cause earth quakes and volcanic eruptions. The thickness of oceanic crust ranges from 5 to 10 km where as the thickness of continental crust ranges from 30 to 50 km. These oceanic and continental crusts are also known as Sima and Sial. As we move in to the crust the temperature increases by 30°C for every kilometer. The continental crust is made mostly of rocks similar to a granite composition, whereas the oceanic crust is made of rocks with a composition of basalt like rocks that make up the volcanoes. Continental crust is on average thicker than oceanic crust. About 40% of the Earth&apos;s surface is occupied by the continental crust. About 47% of the Earth&apos;s crust consists of oxygen and it occurs as oxides of calcium, magnesium, potassium, sodium, silicon, iron, aluminum, etc. As the crust is less denser than mantle and so are the layers of the crust. The oceanic crust is more denser than the continental crust. 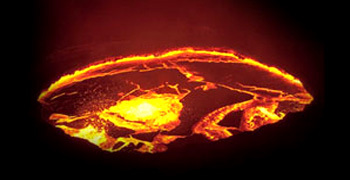 Molten rocks inside the mantle of the Earth The molten rock inside the Earth is called magma. This often collects inside magma chambers that may feed a volcano or become a pluton. The thickness of mantle is about 2900 km. Even though mantle is covered by crust we can sometimes observe it during earth quakes and volcanic eruptions. It is composed mostly of silicate rocks of iron and magnesium. The Upper Mantle flows easily than the Lower Mantle because of increasing temperatures as the depth increases. As we know the tectonic plates of Earth&apos;s crust float on the Mantle, these can slide on one another, in some places adjusting the rocks between the gaps formed in the Earth&apos;s interior. In few places these tectonic plates will be spreading apart, where the volcanic material tries to fill the gap. 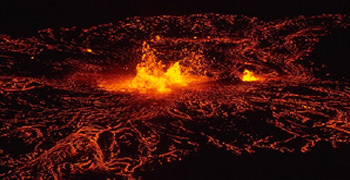 The convection process (heat transfer by circulation of currents in a fluid from one region to other) will take place slowly inside a volcano. The hotter material heated by the core would rise slowly to mantle&apos;s surface. It raises to the crust and gets cooled down traveling back to the core and this process continues and drives the motions of tectonic plates. Convection process in mantle layer Mantle convection is the slow creeping motion of Earth's solid silicate mantle caused by convection currents carrying heat from the interior of the Earth to the surface. 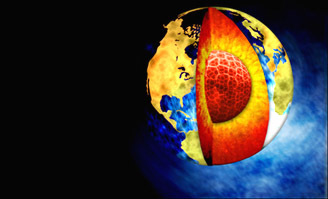 In general about 10% of Earth&apos;s mass is present in the mantle. Particularly, about 15% of mass of both mantles and crust is contained in the upper mantle. The main minerals that are found in the mantle are Pyroxene and Olivine. A part of upper mantle is known as asthenosphere. It is a very thin layer that spreads to a few kilometers in upper mantle. At the ocean basins asthenosphere has a thickness of about 150 km. The upper mantle extends up to 400km which contains Peridotite and Eclogite rocks. The Earth's crust and the upper mantle are together known as lithosphere, which makes the tectonic plates. Lithosphere is the weak spot that allows the eruption or intrusion. The dynamics of the Earth's lower mantle, the largest continuous region of the interior, plays a major role in controlling the thermal evolution of the planet. Usually the lower mantle has 49% of Earth&apos;s mass. It is composed of oxygen, magnesium, iron, silicon, calcium, aluminum. The lower mantle of the earth starts at a depth of about 670 kilometers, and extends to a depth of 2900 kilometers beneath the planet's surface. This lower mantle layer adds restrictions on the convection process and thermal state of Earth, for conversion of lateral variations of velocity into lateral variations in temperature. Outer core and inner core of the Earth. The Earth's magnetic field controls the direction and speed at which Earth's inner and outer cores spin, even though they move in opposite directions, new research suggests. Earth&apos;s core is definitely the hottest part of our planet. It is made up of metals entirely. The core consists of two layers which are known as Outer core and Inner core. The outer core is mostly made of iron and nickel. The outer core is approximately 2300 km in thickness. The iron and nickel forms an alloy which is very hot at temperature 4000 to 5000°C. 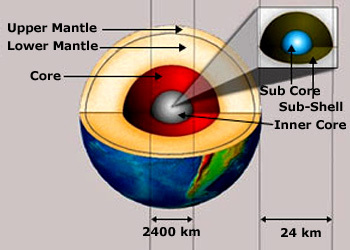 The Inner core is approximately 1200 km in thickness. Although the temperatures are extremely high, the pressure due to gravity in the inner core will be too high which makes the iron to remain solid even in such harsh temperatures. The flow of liquid iron in the outer core is responsible for the generation of current, which in turn causes magnetic field. Since the liquid in the outer core is responsible for the magnetic field of the Earth, it could change the location of the magnetic poles of the earth as per the rotation of the outer core. The poles actually change places periodically –– about 400 times in the last 330 million years . The flow of liquid iron generates electric currents, which in turn produce magnetic fields. Charged metals passing through these fields go on to create electric currents of their own, and so the cycle continues. This self-sustaining loop is known as the geodynamo. The inner core of the Earth spins on its axis. The outer core also spins along with the inner core, but at a different rate, which leads to a creation of the dynamo effect. This effect would lead to the conventional currents in the core. 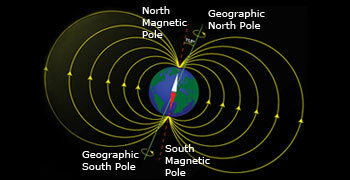 This is responsible for the earth&apos;s magnetic field. Hence Earth acts as a natural giant electromagnet. As the charged metals like iron and nickel passe through these magnetic fields, electric currents are generated. This cycle of electric and magnetic fields would be continuous resulting in strong magnetic field of Earth. This process (responsible for the sustained magnetic field) is known as Geodynamo. The planet is entirely magnetic due to the metal present in the middle of the Earth&apos;s Core. 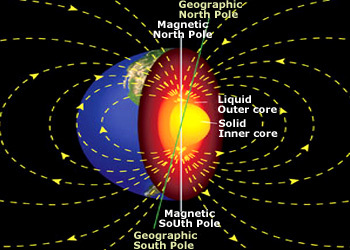 The liquid outer core controls the magnetic field of the Earth. This magnetic field acts as a guard to protect the earth from charged bodies floating in the solar system. When the solar wind reaches the Earth, it collides with the magnetic field, or magnetosphere, rather than with the atmosphere. 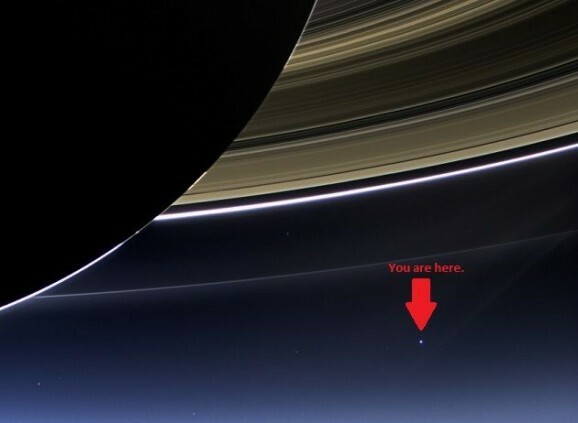 “We succeeded in taking that picture [from deep space], and, if you look at it, you see a dot. That&apos;s here. That&apos;s home. That&apos;s us. On it everyone you know, everyone you love, everyone you&apos;ve ever heard of, every human being who ever was, lived out their lives. The aggregate of all our joys and sufferings, thousands of confident religions, ideologies and economic doctrines. Every hunter and forager, every hero and coward, every creator and destroyer of civilizations, every king and peasant, every young couple in love, every hopeful child, every mother and father, every inventor and explorer, every teacher of morals, every corrupt politician, every superstar, every supreme leader, every saint and sinner in the history of our species, lived there – on a mote of dust suspended in a sunbeam” – Carl Sagan (astronomer). Comparison of Earth and Sun Compared to Earth, the Sun is enormous! The Sun weighs about 333,000 times as much as Earth. It is so large that about 1,300,000 planet Earths can fit inside of it. 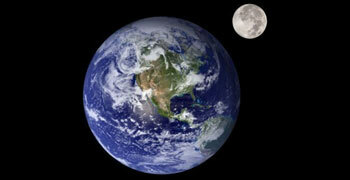 Our planet Earth, numbered the third planet from the Sun, is the largest of the first four planets. It is the fifth largest planet of the entire solar system. When Earth is compared to the size of the Sun, it looks like a speck, with a million number of Earth like planets could fit inside the Sun. Sun is a medium sized star and one among the 100 billion stars that are present in the Milky Way Galaxy. There could be more than hundred billion galaxies in the universe. So, when we compare Earth with the Universe, it becomes an insignificant figure in the sea of stars in the known Universe. If we look at from human standard point of view, Earth appears to be big, with an equatorial diameter of 12,700 km and a circumference of about 40,000 km. The approximate mass of the Earth is ( 6 ×1024) kg and the Earth&apos;s weight can be measured using the gravitational force of attraction it has for other objects near it. The speed of Earth&apos;s orbit around the Sun is about 66,638 miles per hour i.e., 29.79 kilometers per second. The origin of Earth Earth, along with the other planets, is believed to have been born 4.5 billion years ago as a solidified cloud of dust and gases left over from the creation of the Sun. As the scientists have no concrete proof for how exactly Earth was formed, they strongly think that it was a swirl of gas and dust some 4.6 billion years ago spreading around 15 billion miles in space. Astrologers and scientists believe that all the particles of dust and gas began to aggregate and started to form molecules and particles. 99.9 % of it was used up in forming the Sun. The remaining 0.1% started to form large chunks of matter due to electrostatic forces. These chunks of matter combined on further collisions and grew large to form planets, satellites, asteroids, etc. This took 200 million years. It is also believed that about 4.5 billion years ago, an object of size of Mars crashed in to earth blowing out to form our Moon, whose material is from Earth's crust. The earth previously was a ball of hot molten rock. The rock itself released gases that included H2O and CO2. As the earth surface cooled, the water condensed and ran onto the earth and formed what would eventually become oceans. Initially earth was very hot and volcanic. At first the crust was formed as the planet got cooled. The impacts from asteroids and debris were the reason to form lots of craters. As the time went on, the planets continued to cool, forming water on the surface of the Earth. This lead to the formation of oceans. The Earth&apos;s surface that we have today is a result of lot of eruptions from volcanoes, earthquakes, and several other factors. With its huge diameter and mass, Earth is able to provide gravity that could hold all objects. The surface of the Earth provides a place for the human beings, animals , plants to live as the life evolved from bacteria and virus 4 billion years ago. Later on people came to existence to question why and how it all happened. 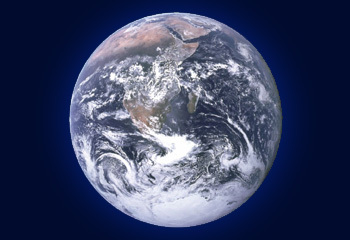 Age of the Earth Scientists think that the Earth is 4.54 billion years old. Coincidentally, this is the same age as the rest of the planets in the Solar System, as well as the Sun. The Sun and the planets all formed together from a diffuse cloud of hydrogen billions of years ago. The age of Earth is approximately 4.5 x 109 years. It is calculated using the radiometric dating methods of meteorite material. These ancient rocks are not from Earth&apos;s crust but they are the sediments of the lava deposited in water. The zircon crystals found in Australia, date them to the age of 4.3 billion years, making them the oldest on Earth, so far. Dating the oldest rocks present on the Earth&apos;s surface. The oldest rocks are metamorphic rocks so they give the minimum age of the Earth. Earth is born from the Sun and is a part of Solar system. So we can date the cosmic objects like samples of moon, meteorites, etc. These may reveal the information about the age of the planets as they too have equal age. Determining the lead ages for the earth and other cosmic objects like meteoroids, as they are homogeneously distributed through out the solar system. The results show that the Earth, meteoroids, moon and entire solar system are 4.5 to 4.6 billion years old. An equatorial bulge is which a planet may have around its equator, distorting it into an oblate spheroid due to its rotation. Why is Earth bulge shaped? The spinning of the Earth leads to an “Equatorial bulge”. The rotation causes the planet to bulge at equator since the gravitational acceleration is less at the equator than at the poles. 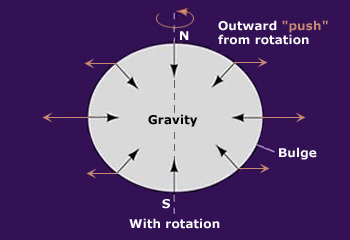 When Earth is not rotating, the gravity would act evenly on all sides. But then the Earth rotates with constant speed. This makes it to move faster at the poles and slower at the equator since the acceleration due to gravity is different at poles and equator. Hence this phenomenon results in bulging of the Earth from sphere to an oblate spheroid.